Verizon Communications may seek to renegotiate its $4.8 billion purchase of Yahoo’s operating business, dealing another blow to the struggling internet company. Verizon’s top lawyer said on Thursday that his company thought that the hacking of 500 million Yahoo email accounts in 2014 — disclosed last month, well after the deal was announced — had materially diminished the value of Yahoo, potentially allowing Verizon to reopen the sale discussions. The data breach, most likely the largest ever at a private company, is still under investigation by the companies and the Federal Bureau of Investigation. F.B.I. officials have confirmed that the Yahoo breach has the hallmarks of a state-sponsored attack, but they also say it is too early to say which country was behind it, according to two people who with knowledge of the investigation who spoke on the condition of anonymity. In a statement on Thursday, Yahoo said, “We are confident in Yahoo’s value and we continue to work towards integration with Verizon.” The transaction is expected to close by early next year. On Monday, Verizon’s chief executive, Lowell McAdam, said at a conference that the Yahoo deal made sense but that his company was still trying to assess the financial effect of the hack. Yahoo has been vague about the timeline of the hacking, but has maintained that it learned of a potential breach after the Verizon agreement was struck in July. It is unclear what long-term effect the attack — and subsequent revelations that Yahoo scanned all of its customers’ email under a federal court order — will have on Yahoo’s business. The company’s reputation has suffered online in the last few months, according to an analysis by Spredfast, a marketing firm that helps businesses analyze what people are saying about them on social networks. About 90 percent of the Twitter comments about Yahoo were negative in October, Spredfast said, up from 68 percent in August, before news of the hack. Yahoo’s stock dropped nearly 2 percent on Thursday after Reuters published the first report about Mr. Silliman’s comments. Robert Peck, an analyst with SunTrust Robinson Humphrey, said investors were not concerned about a small price reduction. The real worry is that if Verizon walks away from the deal, it will delay the process of selling Yahoo’s large stakes in two Asian tech companies, Yahoo Japan and Alibaba, which are worth far more than the portion of the company being sold to Verizon. 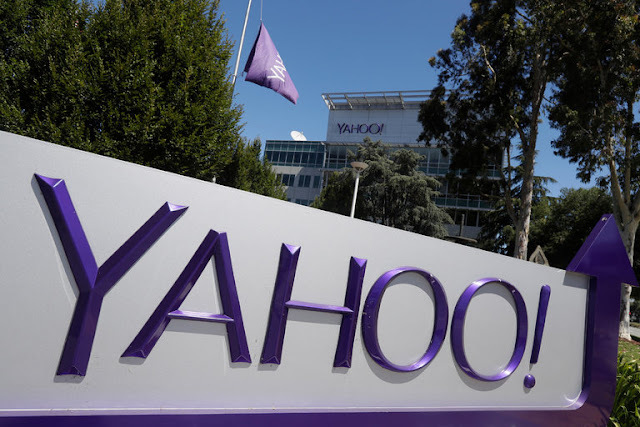 Yahoo customers have been inquiring how to switch out email accounts after the breach. Earlier this month, the company turned off automatic email forwarding, making it harder for users to switch to alternative services. The S.E.C. guidance also notes that the costs of remediation — which include increased security spending and the costs of customer notification and litigation — can have a material effect. A report by the Ponemon Institute in July found that the cost to remediate a data breach was $221 per stolen record. All tallied, that would top Verizon’s $4.8 billion purchase price.